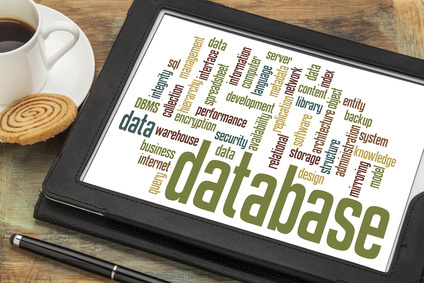 Is the lack of a donor database holding your organization back? Your organization’s individual giving program won’t survive without donor data. Without reliable data, how can you expect to grow your fundraising? Smart fundraisers know: great fundraising goes beyond the first gift. You need a system that allows you to move your donors from first-time gift to monthly donor, mid-level donor, major donor…and eventually legacy. Excel simply doesn’t cut it. It never will. What features are the most important for your organization? Does it ever make sense to build your own CRM? Who will manage your system? What other systems does your database need to integrate with? What kind of reporting features do you need? What kind of training, and initial and ongoing tech support will we need? Making this decision is vital to your organization’s fundraising. Doesn’t it pay to make an informed choice? That’s where we come in. Introducing Smarter CRM: Making An Informed Database Decision. This six-week live webinar series is guaranteed to provide you with exactly what you need to know to make a smart CRM decision. One that’s the perfect fit for your organization — and your donors. We’ll highlight some of my favorite platforms, including Bloomerang and NeonCRM. And we’ll bring on real users to discuss their experiences. This class will be delivered live over the course of six weeks. Each session will be recorded and available for later access. For lifetime access. That means you can return to the sessions whenever you need them. Donor databases have come a long way in the last twenty years! Today’s CRMs offer an enormous range of features, options, and configurations, all promising to make your fundraising life easier. But with so many to choose from, how does a nonprofit make a smart choice? In this webinar, we’ll focus on smaller development departments, and the CRMs that are best for organizations without dedicated IT and database specialists. We’ll discuss the features you should look for, demystify APIs and integrations, consider Salesforce’s promises and pitfalls, and more. Most importantly, we’ll discuss the process you can use to select your CRM, and the critical considerations of workflow and culture that sometimes get missed when choosing a CRM. Isaac Shalev is an expert in nonprofit technology strategy. Over the last ten years, Isaac has advised organizations from startup to enterprise on selecting and implementing CRMs, using data as a strategic asset, and aligning people, process and technology to drive mission success. His personal mission: to make data and technology work for nonprofits. Isaac is a regular on the nonprofit conference lecture circuit, a member of the Nonprofit Technology Network faculty, and an adviser to major foundations and nonprofit umbrella organizations. Sometimes known as the Data Therapist, Isaac helps nonprofits unlock the potential of their people with his human approach to data and technology. Bloomerang is a simple donor database and fundraising software solution that helps nonprofits decrease donor attrition and increase revenue. NeonCRM s a cloud-based customer relationship management (CRM) suite for small to large nonprofits such as animal welfare groups, human services, and philanthropic foundations. Applications include marketing and outreach, fundraising, donor management, membership management and more. Nonprofit donor management software for better tracking and managing of fundraising efforts, donor relationships, events, grants, volunteers and more. Note: This series is still under development with future overviews to be announced.